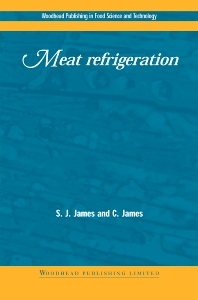 Part 1 Refrigeration and meat quality: Microbiology of refrigerated meat; Drip production in meat refrigeration; Effect of refrigeration on texture of meat; Colour changes in chilling, freezing and storage of meat; Evaporation weight loss in meat refrigeration. Part 2 The cold chain from carcass to consumer: Primary chilling of red meat; Freezing of meat; Thawing and tempering; Transportation; Chilled and frozen storage; Chilled and frozen retail display; Consumer handling. Part 3 Process control: Thermophysical properties of meat; Temperature measurement; Specifying, designing and optimising refrigeration systems; Secondary chilling of meat and meat products. Both authoritative and practical, Meat refrigeration is a standard work for all those wishing to maximise the quality of refrigerated meat.